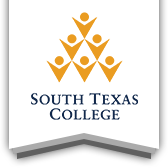 South Texas College is one of only three community colleges approved by the Texas Higher Education Coordinating Board to offer Bachelor's degrees. South Texas College currently offers three Bachelor's of Applied Technology degrees and a Bachelor's of Applied Science Degree. Applied technology and science means we link education with hands-on, real world experience. You will learn theory and practice from the nation's top industry leaders and innovators, who weave professional experiences and firsthand knowledge into an academically rigorous curriculum. Each of our programs is backed by an advisory board, which provides valuable insight from stakeholders in the industry. Come visit South Texas College today and let one of our program chairs help put your career plans on the right path. The ever changing and rapidly growing computer industry has placed a demand for skilled computer professionals on today's job market. By attaining a Bachelor's of Applied Technology in Computer & Information Technologies from South Texas College, you could be well on your way to landing a career with small or large businesses of all kinds, government agencies, school districts and colleges, hospitals and health care agencies or anywhere there is a need for computer-based information systems. Be among the elite candidates in today's competitive job market with a Bachelor's of Applied Technology in Technology Management from South Texas College. This program will educate, train and develop supervisors for successful businesses through a curriculum that balances technology and management. Graduates of this program will join other STC alumni who have become effective managers and leaders by increasing productivity and efficiency in their respective fields. The Medical & Health Services Management program at STC prepares graduates for entry level to mid-level management positions in a healthcare or medical facility. Graduates of this program will provide valuable expertise in the area of health care systems management, finance, medical staff roles and responsibilities, reimbursement mechanisms, electronic medical records, privacy issues and legal issues related to the health care industry. Looking to prepare yourself for a leadership position, move up the career ladder, or build on your associate's degree? STC's Bachelor of Applied Science in Organizational Leadership has you in mind. This is the first competency-based degree to be offered in the state of Texas. The Organizational Leadership degree is attainable entirely online. This program offers an affordable flat rate tuition and fast paced terms.